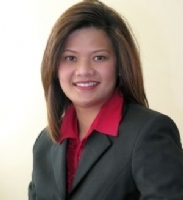 Maridell Reyes specializes in representing in the purchsase or sale of single family residences. Buying or selling a home is one of the most important decisions you will ever make. She would love to have the opportunity to work with you and help make your dreams come true. Her goal is to meet her client�s specific needs and to make sure their real estate transaction is as smooth as possible. If you�re considering buying or selling a home or need additional information about real estate in your area, please call Maridell Reyes at (858) 722-7731.